Please note - I will be away from 19/010/19 - 30/01/19. Any orders placed during that time will be shipped as soon as I return. Sorry for any inconvenience. The Turnado With The Lot and the finished Large Radius Shoe are now available on the website shop, click the links for more details. Unfortunately, due to the dramatic drop in exchange rates between the US$ and Australian Dollar over the last twelve months I've had no choice but to increase the cost of the "T" type parting blades from AU$35.00 (ex GST) to AU$40.00 (ex GST). We will be attending the 1st "Let's Make It" show on 6-7 October. There will be plenty to see so drop in and say hello if you are in the area. 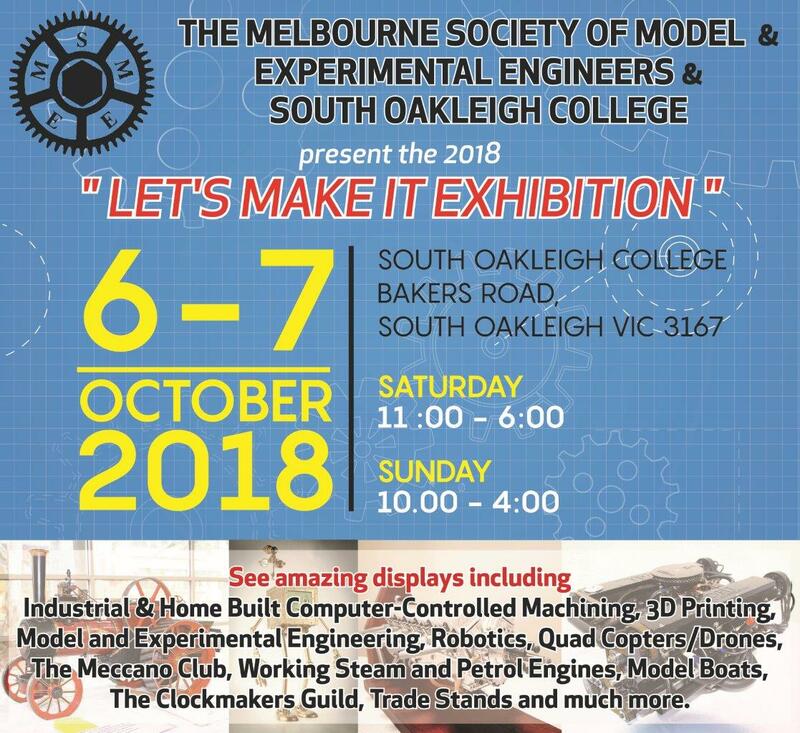 We'll be taking the Messerschmitt along plus a range of items I've built over the years and of course we will have our trade stand there demonstrating our products including the Turnado Freehand Metal Turning System.